PORT MORESBY: Opposition Leader Don Pomb Polye has lashed out at the Prime Minister Peter O’Neill for pestering at the PNG Power Board to sell a piece of land cheaply for his business extension. Mr Polye made this remark after the subject went viral on Facebook where the Prime Minister has put the board under pressure for the transaction so that he can extend his own hotel business, Paddys bar. He said this was the land on which the company’s Southern Division office sits on in Port Moresby’s Boroko area, adding it is adjacent to the PM’s hotel. Polye said he was told that this was what the Mr O’Neill’s agents were doing to the board members. “We understand the company has cash flow problems. “If the board is really serious in selling this land, get it valued out and do it through the proper tender and procurement system so that those interested can bid for it-no yard auctioning,” he said. 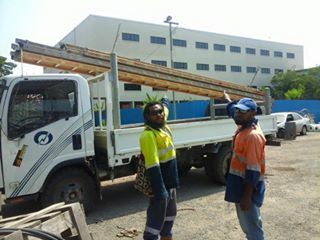 He said this piece of land was owned by the Papua New Guineans through the company. He added the office of the Prime Minister was being used for self-gain. “The Prime Minister’s office has been abused time and time again for personal gains. “He does not have any remorse at all. Let us not be surprised that this is one of the similarly serial acts, undermining the office which has high esteem and dignity,” he said. He has also urged the Prime Minister to step down voluntarily for abusing the office.